Representative Ngodup Tsering and Tibet Museum director Tashi Phuntsok Meets Congressman Jim McGovern at the Capitol Hill. 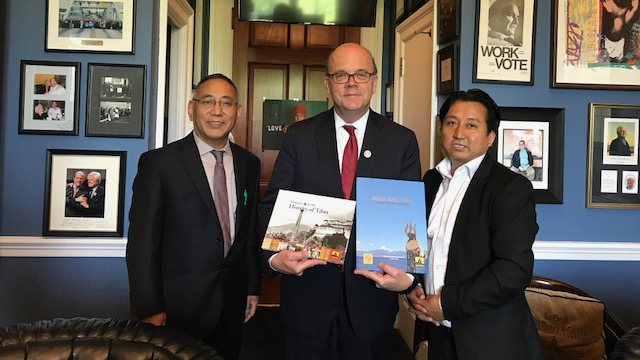 Representative Ngodup Tsering and Director of Tibet Museum, Tashi Phuntsok met with Congressman Jim McGovern on May 15, 2018 and briefed him about the new Tibet museum project and recently concluded Tibet Museum North America exhibition tour. They discussed with the congressman various issues pertaining to preservation of Tibetan arts and artifacts and explored the possibility of partnership with The Library of Congress and Smithsonian museums. 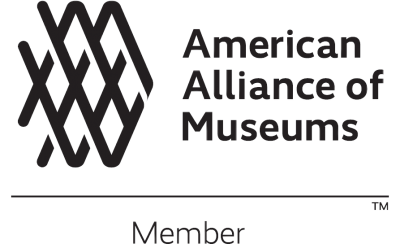 As recommended by Congressman Jim Mcgovern, Mr. Tashi has met with the experts in The Library of Congress, The Smithsonian Freer Gallery of Arts and The Smithsonian National Museum of Natural History and had very productive discussions in terms of engaging with them in the near future. 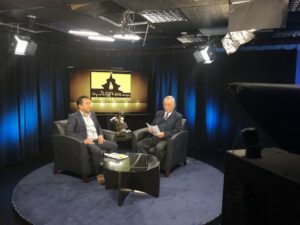 During his visit in Washington DC, Mr. Tashi was interviewed by Radio Free Asia and Voice of America on the activities of Tibet Museum, exhibition tour and the new Museum project. He has left to Portland for Tibet Museum fundraising event organized by Northwest Tibetan Cultural Association, Portland. Tashi Phuntsok, Director of Tibet Museum, speaking to RFA Tibetan radio service. 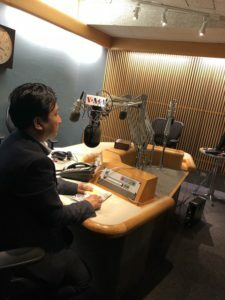 Tashi Phuntsok, Director of Tibet Museum, speaking to VOA Tibetan radio service.